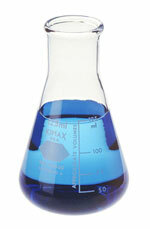 * Rubber Stoppers NOT Included; flasks are compatible with these sizes, sold separately. 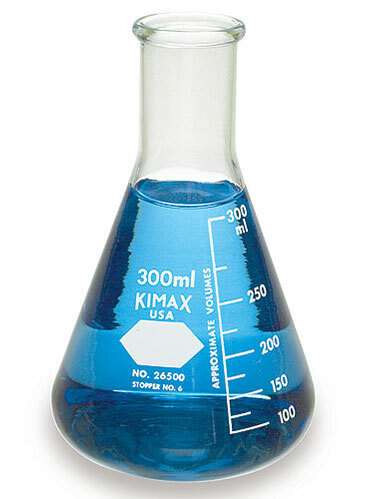 These Kimble Chase KIMAX® glass erlenmeyer flasks feature a narrow mouth and are available in a wide range of sizes to accomodate many general laboratory applications. Although these flasks feature thick walls throughout, the tops contain more glass and have a rounded finish to maximize their strength. The overall design and thickness of these flasks also contribute to the strength to minimize chipping. 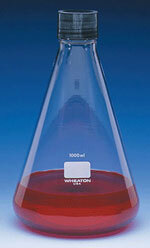 All sizes of these Kimble Chase erlenmeyer flasks are made of 33 expansion borosilicate glass, which meets ASTM Specification, E1404, Type I, Class 1 requirements. Case packs of 48 come in 1 box, with 4 smaller boxes inside, holding 12 flasks each. Case packs of 36 are in 1 box, with 6 smaller boxes inside, each containing 6 flasks. Case packs of 24 flasks are also packaged in 1 box containing 4 smaller boxes, 6 flasks in each. Case packs with 8 flasks come in 1 box, with 2 smaller boxes inside, each containing 4 flasks. 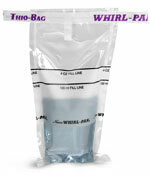 Case packs with 1 flask are packaged safely in a single cardboard box. Inner packs containing multiple flasks are separated by cardboard dividers.